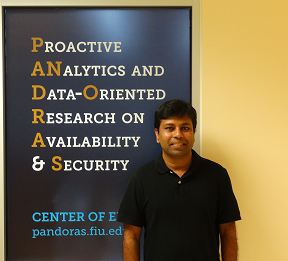 Dr. Imtiaz Parvez started pursuing his PhD in Electrical Engineering in Fall 2013. He has earned his B.Sc. in Electrical and Electronics Engineering (EEE) from Bangladesh University of Engineering and Technology (2008), and M.Sc. from University of North Texas (2013). He served as Specialist engineer in Robi Axiata Ltd. for 3 years. He also worked for T mobile (through 3S network Inc.) in Summer 2013.His research areas include LTE, WiFi, 5G, Cyber Physical Systems security and Artificial Intelligence with application to Smart grid and IoT. The objective of his research is to develop novel communication protocols, and develop their applications in smart grid and other sectors. His current projects are focusing on LAA , WiFi, and Smart Grid Communication and Security. Dr. Haneen Aburub received the B.Sc. degree in mechatronics engineering from Hashemite University, Zarqa, Jordan, in 2012, the M.Sc. degree in electrical engineering from Wichita State University, Wichita, Kansas, USA, in 2013, and the PhD. Degree in electrical engineering from Wichita State University, Wichita, Kansas, USA, in 2016. She is currently working as a Postdoctoral research associate at Florida International University in developing solutions that keeps the future smart grid to be resilient, reliable, and stable under the high penetration of renewable resources. 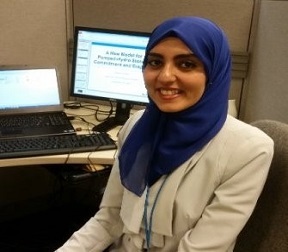 During her Ph.D. studies, she was working on a research project funded by the National Renewable Energy Laboratory (NREL) that focuses on developing sub- and full- optimized algorithms for operating adjustable speed pumped hydro storage in the current and future day-ahead and real-time US energy markets. In the summer of 2014, she gained a great deal of industry experience in the market optimization area while working on a day-ahead ISO-NE market project with the Market Management Systems (MMS) team at Alstom Grid. In 2013, she was a part of a Power Systems Engineering Center (PSERC) funded project, in which she assessed the use of the California ISO (CAISO) wholesale grid state indicator to enable price-responsive demand. This assessment was based on system and economic analyses for using the indicator to manage the operation of various smart grid technologies and applications. In 2012, she built with her team a self balanced two-wheeled human transportation system similar to the well- known Segway. She improved her control systems background during her internship period at the maintenance section of airplanes at RJAA. Her current research interests are power systems economics and markets, energy storage optimization, renewable energy Integration, demand response, and smart grid development.